This isn’t the Cinderella you grew up with. This Cinderella has poise, a kind heart, is book smart and has a mind for social justice. In other words, she is a princess for the 21st century. In Douglas Carter Beane’s updated book of the Rodgers & Hammerstein classic, Cinderella is modernized. Not only does she have a mind for social justice, but she actually gets along with one of her stepsisters. Paige Faure is flawless as Ella, our modernized Cinderella. Her grace and charm are a delight to watch. When we first meet Andy Huntington Jones’ Prince Topher he is slaying dragons and saving the kingdom, but it doesn’t take long for us to discover our Prince is lost and not just searching for is Princess but also for his identity. As Jean-Michel, Will Blum is young man on a mission to not only radically change the lives of the citizens being oppressed by the kingdom but also to win the heart of Gabrielle, Ella’s stepsister. William Ivey Long’s Tony Award Winning costumes are impeccable. The rich, luxurious colors and breathtaking designs add a layer of texture and character to the magic of the show. But his designs for Ella’s onstage transformations are extraordinary. How he and his team were able to turn a simple peasant dress into a gorgeous ball gown in the blink of an eye will always puzzle me. Not to mention how a tattered corset and ripped dress is instantly transformed into a golden gown fit for a princess is incredible. These transformations are truly what theatre magic is all about. 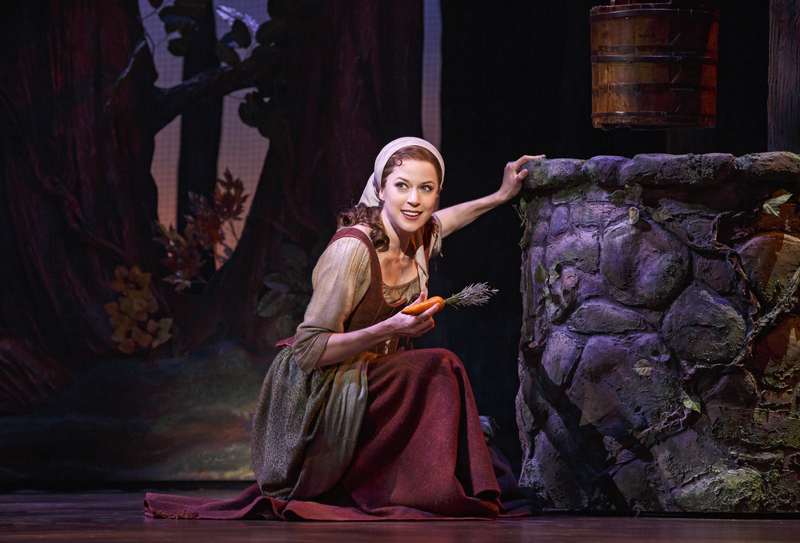 Cinderella is playing at Minneapolis’ Orpheum Theatre through Sunday, September 13. For more information on the show and to purchase tickers visit Hennepin Theatre Trust’s website.